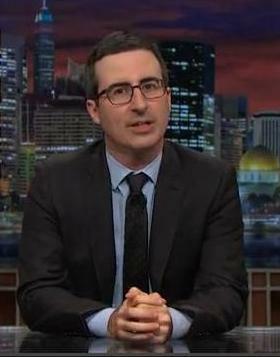 Sign a petition calling for John Oliver to be Jon Stewart’s replacement on the Daily Show. Comedian John Oliver has just shown that he is the best person to replace Jon Stewart on the Daily Show what with his recent pieces on the public monies being spent on privately-owned football stadiums, on ALEC, on visiting Edward Snowden in Russia – and the list is much longer. His humor and wit and incisive, cutting insights and satire demonstrate that Oliver is the guy to continue the tradition that Stewart started – and besides that, John Oliver became famous on Stewart’s show, so he’s a graduate. Currently Oliver is on weekly on HBO. If enough people sign this, it will show Comedy Central what the general viewing public want. Uh. No thanks. He’s far more effective on HBO.